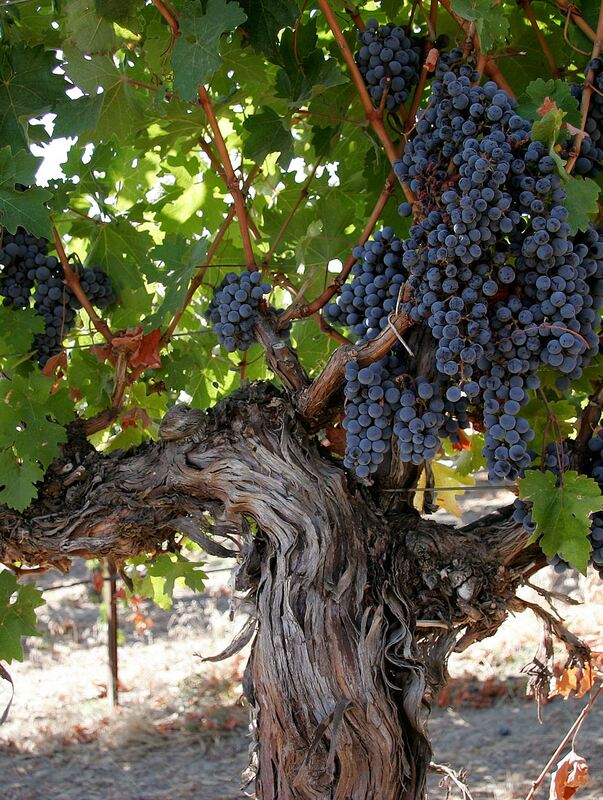 The Romans introduced grapevines to the Netherlands in 968. Today about one million bottles of Dutch wine are produced annually from 170 small vineyards located throughout the country. Fortunately, there’s no need to buy a ticket to Amsterdam to taste Dutch wines when you can make a trip to Bainbridge Island instead. There, the Washington immigrant histories of two Dutchmen — Alphonse de Klerk and Alfred Newhouse — have joined forces to produce award-winning wines at the island’s Rolling Bay Winery. De Klerk is the winemaker and owner of Rolling Bay. 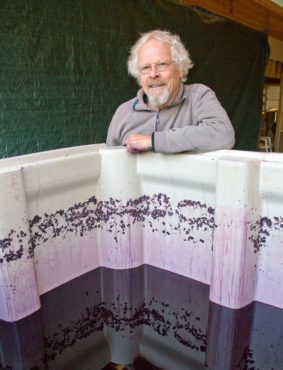 Newhouse is the Eastern Washington vineyard owner whose grapes get trucked over each autumn for the crush. When his large family became part of the great post-World War II migration out of the war-torn Netherlands, de Klerk was just a toddler. With five daughters and three sons, the de Klerks had limited options about where to join the Dutch diaspora. They ultimately made their way to California, where his father, a pastry chef, was able to find work as a baker. After marriage, his honeymoon was a cross-country bike trip from California to Boston, followed by a three-month bike trip through Europe. 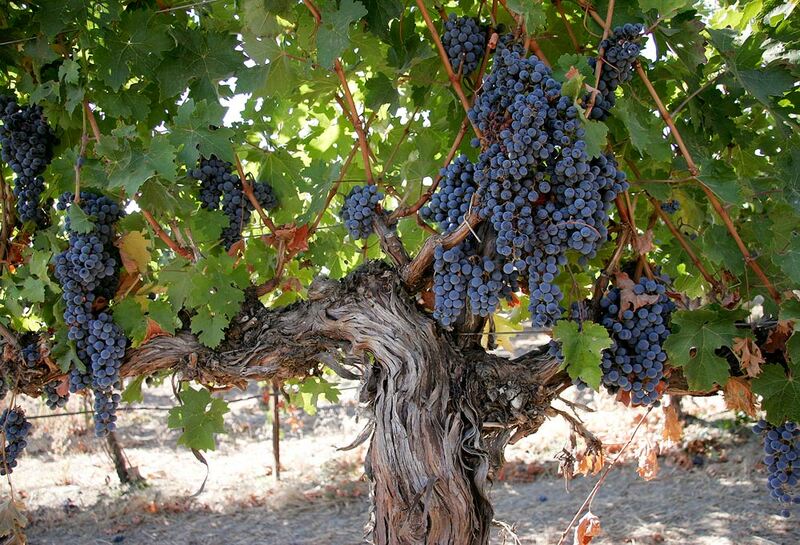 It was in France where de Klerk was introduced to wine production. 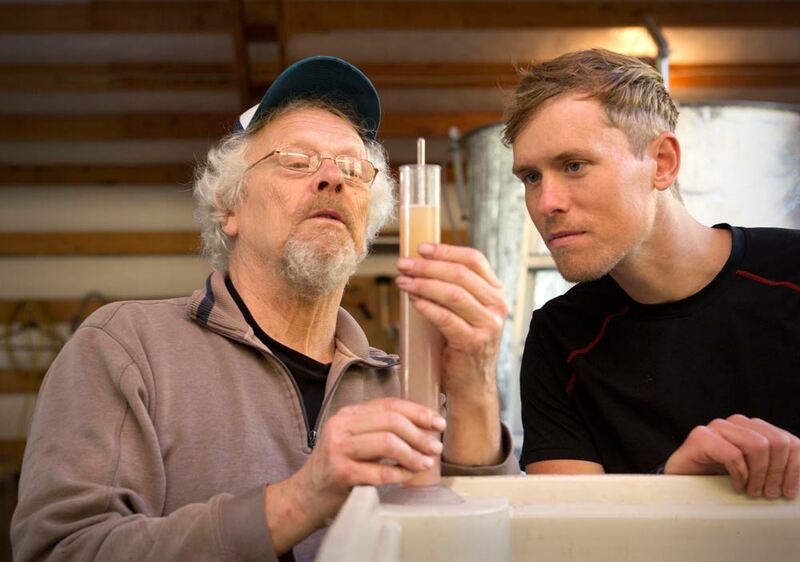 Becoming a winemaker didn’t happen immediately. He first established himself as a Seattle-area commercial-food photographer. “Sometime in the late 1980s, I was shooting photos of Gravenstein apples for a grocery ad and began to wonder what kind of wine they’d make,” de Klerk said. Trial and error, along with advice picked up from books, eventually produced an apple wine. A year later, while doing a photo shoot for Washington winery Hogue Cellars, he was offered the leftover chardonnay wine grapes — 300 pounds’ worth. He picked them, loaded them up, brought them home and began experimenting. Like many winemakers, de Klerk’s early productions were homemade gifts for friends and family. In 1992, he joined forces with other Washington wine hobbyists, including a group living on Bainbridge Island. Through them, he was introduced to fellow Dutchman Alfred Newhouse, an Eastern Washington vineyard owner with his own family immigration story. 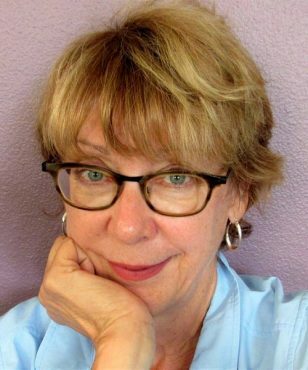 Newhouse’s father had emigrated from Holland a century earlier and worked as a laborer building irrigation canals that would water Central Washington’s vineyards. Newhouse and his siblings planted fruit orchards and eventually purchased a historic vineyard growing some of the state’s oldest red wine grapes. On Bainbridge, de Klerk was producing one type of wine, a blended red he called Manitou Red. For his first commercial production of the red in 2007, he used grapes from the Newhouse family old-growth vines and won three prestigious gold awards. It was then de Klerk decided he needed a serious business plan. He began taking wine-production classes at a local community college in the evening while holding down a day job. With three partners from his wine hobbyist group, he built a small, stone-arched tasting/barrel room and named it Rolling Bay Winery in honor of its island bay location. 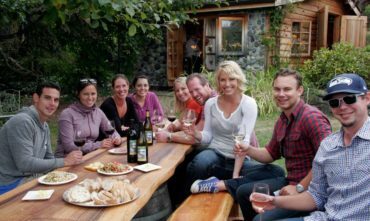 In 2012, the hobbit house structure received its own accolades as “Best Essence of Puget Sound” and one of the top 22 tasting rooms in Washington. 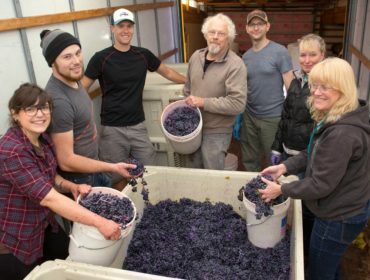 Relying on low-tech methods and volunteers, the little craft winery continued to produce award-winning wines while receiving more kudos for its 2010 Manitou Red and adding a white pinot gris to its list. In 2014, five of its reds and the Rolling Bay Chardonnay Reserve won awards, a tradition of accolades that has continued for the winery. Each fall, de Klerk makes the drive to the Eastern Washington Newhouse Family of Snipes Mountain AVA vineyard to pick up red grapes and return them to Bainbridge for the crush. 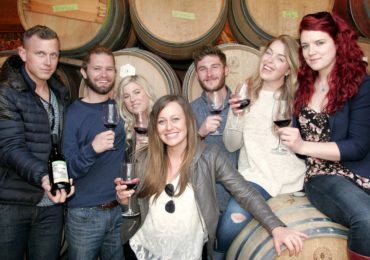 And despite the winery’s fame, he still relies on friends, family and volunteers to help with the production and tasting room. He’s adamant that the sense of family camaraderie he experienced picking grapes in the Loire Valley vineyard and during his years in the hobbyist winemaker group gets extended to his business. By 2017, Rolling Bay’s growing number of wine enthusiasts outgrew the original tasting room and its regular weekends of wine tasting and live music, so de Klerk opened a larger tasting room and production facility a few miles away, in the quaint center of the Rolling Bay community. The new facility has 10 times more square footage. Dropping by during the tasting room hours on Friday through Sunday can find you rubbing shoulders with a couple who fly in regularly from Colorado, regulars who help with the crush and Dutch expats and travelers who heard about the place. It can feel more like a friendly neighborhood pub than a sedate tasting room — and that’s the intentional vibe de Klerk wants. There is still a regular schedule of weekend live jazz music and outdoor seating during the warmer months, and Rolling Bay is a participant in Wine on the Rocks, a celebration of the island’s seven wineries. For fans who miss the hobbit house original tasting room, it continues to open twice a month during the summer. In 2018, Washington Tasting Room Magazine named Rolling Bay to its list of Best Wine Clubs, citing the perks of complimentary wine tasting, an exclusive-members-only garden party and access to limited release and library wine. Members appreciate the club’s extras, but, when asked, say their fandom really comes because of the sense of conviviality that exudes from Rolling Bay. De Klerk is the ever-present winemaker, making the acquaintance of everyone who walks through the door. 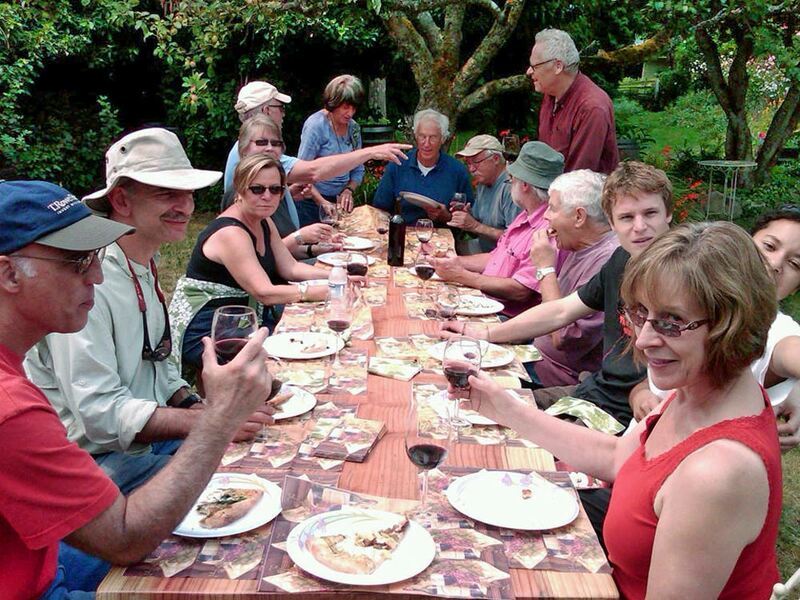 His crew of volunteers makes sure your wine-tasting experience appreciates the wine, the setting and the company.